Primary Industries Minister Teresa Kok’s call to manufacturers to add a “Love MY Palm Oil” label to local palm oil products and for Malaysians to consume more palm oil (13 March 2019) is no solution to the European Union’s proposed ban on palm oil biodiesel linked to deforestation. The Minister’s argument that 40% of Malaysians in the palm oil industry are smallholders is also unlikely to move European parliamentarians. The issue is not that the European countries are unaware that the ban would disrupt the economy of the country and livelihood of smallholders. The European Union and its member states are proposing the ban precisely because they know economic pressure is the only way they can get palm oil producer nations to stop deforestation and prioritise environmental protection. Diplomatic persuasion has not worked, and voluntary consumer action takes too long to bear results. The proposed ban is their last resort in trying to influence environmental policies in palm oil producing countries. It is not disputed that palm oil is cheaper and more resource-efficient than other vegetable oils. Alternative vegetable oil crops such as rapeseed and soy may use up to 10 times more land than oil palm. However, merely pointing out that other vegetable oil crops are just as damaging and destructive as oil palm, and alleging victimisation and protectionism on the part of European nations is hardly going to influence European nations’ and consumers’ perception of Malaysian palm oil. We can only remove the stigma of deforestation by actually ending deforestation, not by pointing out that deforestation also occurs elsewhere. The main criticism against the MSPO is that the organisation playing a vital role in its formulation and moderation is the Malaysian Palm Oil Board (MPOB), which clearly is invested in oil palm cultivation and expansion, thus giving rise to allegations of conflict of interest and lack of independence and impartiality. As for the RSPO, only in late 2018 did it adopt new standards prohibiting the clearing of any type of forest for oil palm cultivation. Previous standards did not protect peatlands or landscapes with High Carbon Stock. Reports exist to support the claim of malpractice and corruption by RSPO auditors. Considering that the RSPO, which is the world’s only global palm oil certification system, is unable to achieve what it is set up to do – namely, ensure sustainability, human rights, labour standards, environmental protection and respect for the law – it is highly doubtful that the international community would perceive the MSPO as having higher standards of transparency and effectiveness in protecting the environment, indigenous communities, and wildlife than the RSPO. In fact, the findings of environmental organisations confirm that MSPO scores even lower than RSPO on safeguards pertaining to the fair treatment of smallholders, protection of indigenous communities and access to remedies. How is the MSPO labelling expected to inspire consumer confidence when its standards are even lower than that of the RSPO? Malaysia should instead adopt the independently verified standards that are being trialled by producers in the Palm Oil Innovation Group (POIG), a collection of NGOs including Greenpeace and progressive producers that aim to provide independently verified, responsibly produced palm oil. These standards use the RSPO as a basis, but establish additional requirements on palm oil producers including to assess and protect peatland and forested areas in their concessions. The call to clean up the Malaysian palm oil industry is not a form of bullying or green protectionism or an attempt to undermine and destroy the Malaysian economy. Environmental organisations and indigenous communities should not be harassed and ignored in our attempts to highlight the environmental harms linked to oil palm cultivation. Environmental organisations are not calling for a halt on economic growth or the loss of employment opportunities, but the proper management of natural resources and protection of forests, wildlife, labour rights and indigenous rights. Malaysia has to recognise that there is a problem, not merely that of image or marketing, and rise up to be part of the solution. Satellite data does not lie, and reveals that logging and deforestation continue to take place wherever there is oil palm cultivation and expansion. Between 2001 and 2017 alone, Malaysia has lost 7.29 million hectares of tree cover to oil palm cultivation. Even local media does not shy away from reporting on wildlife deaths, including those of charismatic species such as tigers and elephants, linked to oil palm cultivation. 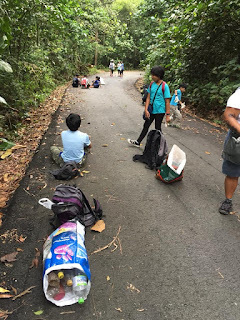 And as recently as today (20 March 2019), news reports have surfaced of conflicts between indigenous communities in Sarawak and an oil palm company that was issued a permit to carry out logging next to the Mulu National Park. Instead of issuing ultimatums and threats to European nations and trying to increase the domestic consumption of palm oil, Malaysia needs to prove to the world that oil palm can be grown and produced responsibly and make a genuine contribution to the Malaysian population and environment. A willingness to acknowledge the need to improve and to make sincere and genuine efforts to protect the environment, wildlife and human rights is a better indication of patriotism than merely a willingness to consume more locally-produced palm oil. All photo credits: From MY Bee Saviors – Penyelamat Lebah Malaysia’s Facebook page. We all know that honey bees are the most important pollinator of food crops. It is estimated that one third of the food that we consume each day relies on pollination mostly by bees, but also by other insects, birds and bats. Even for crops that are not directly pollinated by honey bees, the crop still benefits indirectly from being in an environment in which honey bees are found, due to the increased biodiversity in the area which stimulates the crop. Bees pollinate not only food crops consumed by humans, but also other plants eaten by other animals and birds, so they play a vital role in the entire food chain. They pollinate wild flowers, thus enhancing biodiversity. Bee populations – whether healthy or declining – tell us about the health of the wider environment. Unfortunately, bee populations worldwide are facing serious threats. Habitat loss and fragmentation, pesticides, climate change, diseases and parasites and invasive plant species have all contributed to the decline in bee populations. The global scientific and environmental community has been working hard to protect and restore bee populations by calling on governments to ban pesticides linked to declines in bee populations. In April 2018, European Union member states agreed to ban the outdoor use of neonicotinoid pesticides. France has gone one step further, banning 5 types of pesticides linked to bee deaths both for outdoor and indoor use. The US Donald Trump administration has, unfortunately, lifted an Obama-era ban on the use of bee-killing pesticides. 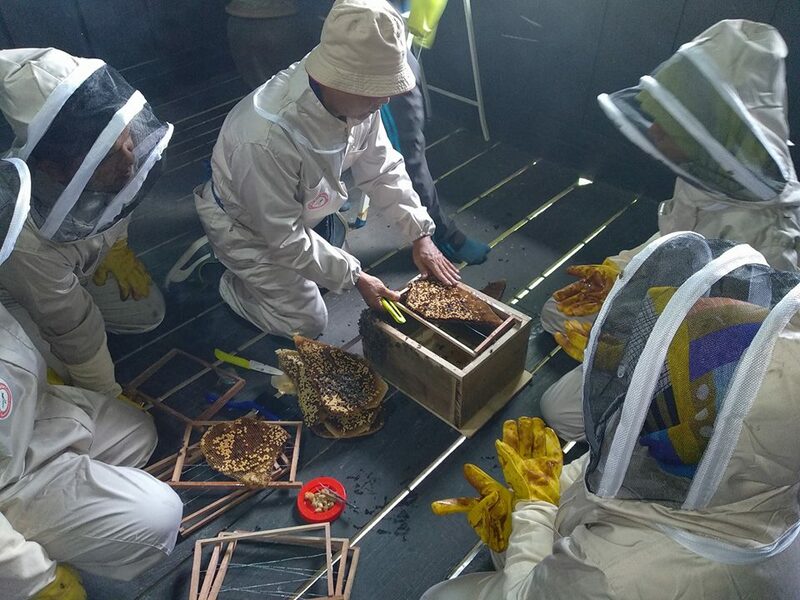 While Malaysia has made no such declaration on the use of bee-killing pesticides, one volunteer-run organisation has been quietly and heroically saving bees, one hive at a time. 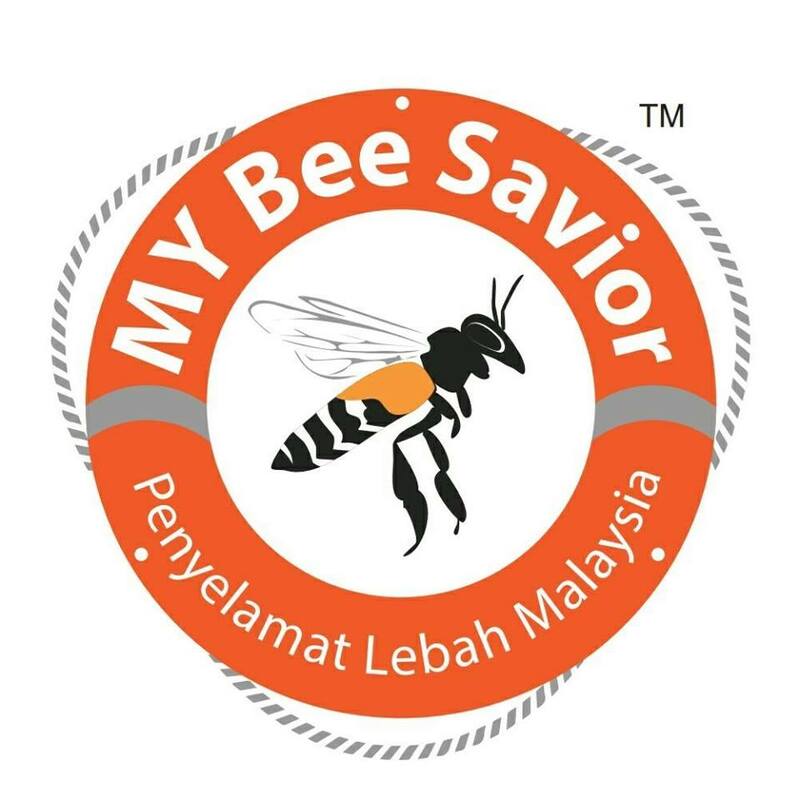 MY Bee Savior / Penyelamat Lebah Malaysia is a group founded in January 2015 by Haji Musa Yaacob, a retired MARDI (Malaysian Agricultural Research and Development Institute) researcher and Encik Izatul Lail Bin Mohd Yasar, another MARDI researcher. As the group started growing and increasing its reach, MARDI decided to adopt the group as a Corporate Social Responsibility project in January 2017. As of March 2019, the group has almost 200 registered volunteers nationwide. Volunteer registration is available online for members of the public who are interested in saving bees. Interested individuals can contact the group, and the administrators of the group will then ask the prospective volunteers a few questions to determine their suitability and readiness before registering them. Upon registration, volunteers will be given an e-book on how to relocate bees, and some video files on the bee relocation process. New volunteers will be invited to join senior volunteers on bee relocation operations in the areas nearest to them. New volunteers who are experienced beekeepers are permitted to undertake the relocation process themselves without the presence of senior volunteers. Active MY Bee Savior volunteers are given a protective beekeeping suit each, or may purchase their own beekeeping suits. Some tools and equipment may be used depending on the complexity of the operations, location or position of the bee hive, and species of bees. MNS members who have engaged the services of these helpful volunteers, though, report that the volunteers mostly use just a cardboard box and tape! MY Bee Savior volunteers do not charge homeowners or property managers for their bee relocation services, as their goals are public outreach and education, preventing the killing and poisoning of bees, protecting and increasing bee populations and encouraging sustainable beekeeping and honey harvesting practices. The bee hives and colonies are usually relocated to sustainable bee farms, for example, the one in Universiti Putra Malaysia (UPM). If there is honey collected during the relocation operation, the homeowner may share it with the volunteers. If the homeowner is interested in keeping the bees for honey production purposes, he or she may request that the volunteers bring or construct a hive box for a specified fee. MY Bee Savior accepts donations whether for the transport expenses of individual volunteers, or larger sums to enable the organisation to purchase more beekeeping suits and equipment. In the event you find a bee colony on or around your premises, please do not smoke the bees out or spray them with insecticides. Instead, contact MY Bee Savior at 019 664 8081 and they will get one of their volunteers to contact you as soon as one is available. MNS members have reported that MY Bee Savior volunteers usually show up within 24 to 48 hours and the relocation is done efficiently without harming the bees. Malaysian Nature Society (MNS) Selangor is disappointed that the Ministry of Water, Land, and Natural Resources has made the decision to lift the moratorium on the extraction and export of bauxite in Pahang (18 Feb). The primary motivation for the decision appears to be the high market demand for bauxite and the economic gains to be made from it. The environment and public health and safety are merely secondary considerations. Although the Minister has indicated that there will be new standard operating procedures (SOPs) and tighter regulations in place, the public has yet to be informed of what these SOPs are and how they compare with previous and existing safeguards, and how transparent and effective the monitoring and enforcement measures will be. Even as far back as 2016, SOPs such as requiring bauxite to be transferred via safer pakamatic lorries, rerouting lorries to avoid heavily populated areas and setting up a designated bauxite stockpiling centre failed to stop industry players and enforcement agencies from flouting the regulations with impunity. What assurance is there that this time the same industry players and monitoring and enforcement agencies will not put personal interest and profits before the environment and people? Further, the proposed fine of RM500,000 and three months’ imprisonment under the Pahang State Mineral Enactment 2001 appears to be too lenient for such a lucrative industry. There appears to be no prerogative afforded to the enforcement bodies to shut down and ban industry players found to be flouting the SOPs. We must not lose sight of the reasons why the moratorium was imposed in the first place. 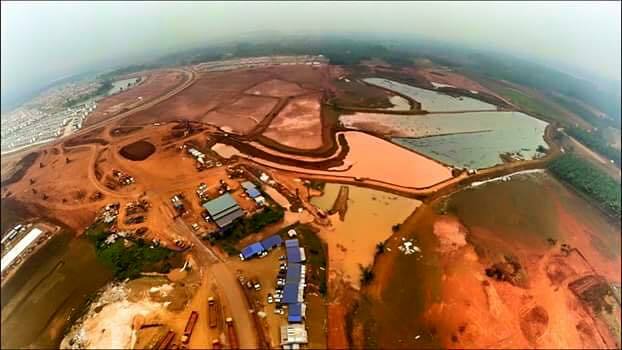 Intensive bauxite mining and processing activities caused major contamination of water sources, air and soil pollution, and an increase in health complaints, particularly respiratory-related, from the local residents. The environmental and scientific community had also reported that bauxite mining and processing had resulted in the leaching of toxic heavy metals such as mercury, cadmium, lead and chromium into river systems, poisoning fish and aquatic life and posing a danger to the fishing and coastal communities. The public has so far not been informed of how wastewater and other waste materials from the bauxite mining and processing activities will be treated and disposed of, and from where the water for bauxite washing will be sourced. This raises concerns that there will be a growth in illegal dumping grounds for the waste generated from the resumption of bauxite mining and export activities. News reports indicate that the Pahang Mineral Operators Association would be regulating its own members and activities. This again will raise the question of how objective, neutral and effective they will be, considering that they have not demonstrated exemplary commitment to environmental protection and public health and safety in 2015 and 2016 prior to the moratorium. There must be greater opportunity and space for neutral civil society groups and environmental organisations to participate in the monitoring and reporting process, and independent environmental auditors must be engaged to inspect and report on the bauxite mining and exporting activities without fear or favour. MNS Selangor is not against development or state governments managing their natural resources to maintain economic growth. We are, however, in favour of the responsible management of natural resources and greater transparency and accountability. Economic growth cannot be sustainable or legitimate if it comes at the expense of the environment and public health and safety. Green Living Column: Of What Use Are Community Cleanups? OF WHAT USE ARE COMMUNITY CLEANUPS? 1. Critics argue that public cleanups do not address the root causes of plastic pollution. What we need to do is to reduce unnecessary plastic at source, design less harmful products and develop better recycling processes. 2. David Katz, the founder and CEO of The Plastic Bank, which monetizes plastic waste by turning it into a currency that helps some of the world’s poorest people, likens the problem to an overflowing sink: “There is no point in mopping the floor until you turn off the tap”. 1. 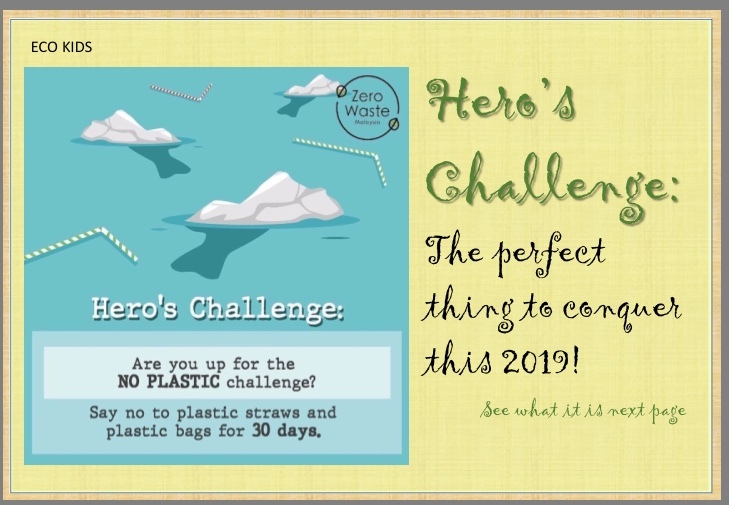 Every piece of litter that is taken away to be recycled or deposited in a landfill means there is one less dangerous item for birds, turtles or whales to swallow. Cleanups also restore these animals’ habitats. 2. In 2015, Mumbai lawyer Afroz Shah started coordinating regular beach cleanups at Versova Beach in Mumbai which saw thousands of volunteers removing over 13 million kilograms of waste in what the UN has called “the world’s largest beach cleanup”. In March 2018, around 80 olive ridley turtle hatchlings were spotted heading to the sea from Versova Beach. The turtles had not been seen on the beach for decades. The cleanup had turned the former litter-strewn beach into turtle breeding grounds once again. 3. Community cleanups also serve to educate. When volunteers see just how much plastic is collected, they are often inspired to reduce their reliance on single-use plastics, and, crucially, to spread the word to others. 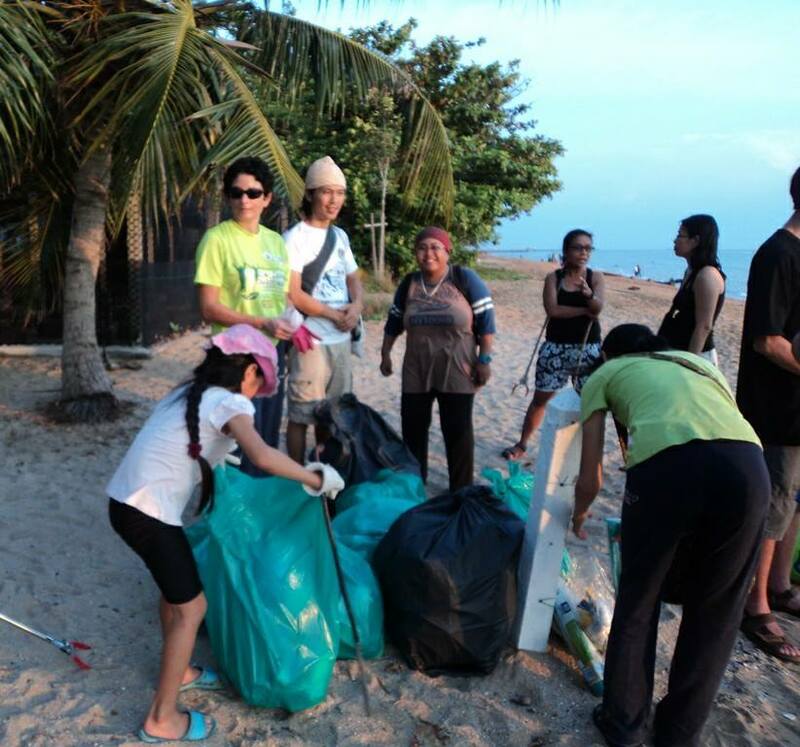 Tiza Mafira, lawyer and director of the non-profit Indonesia Plastic Bag Diet Movement, says beach cleanups give volunteers a clear sense of the scale of the problem. 4. Cleanup campaigns often collect data on the litter found to determine where it comes from and thus aid longer-term efforts to cut down on marine plastic pollution. For example, the British Science Association and The Plastic Tide charity have asked the public to help chart plastic pollution by tagging items captured by drone technology and aerial photos taken of Britain’s shores. 5. Community cleanups raise public awareness on the threat of plastic debris more effectively than in less participatory public education programs, multiple studies show. Volunteers say the cleanups make them more mindful of how they dispose of their own disposables. 6. 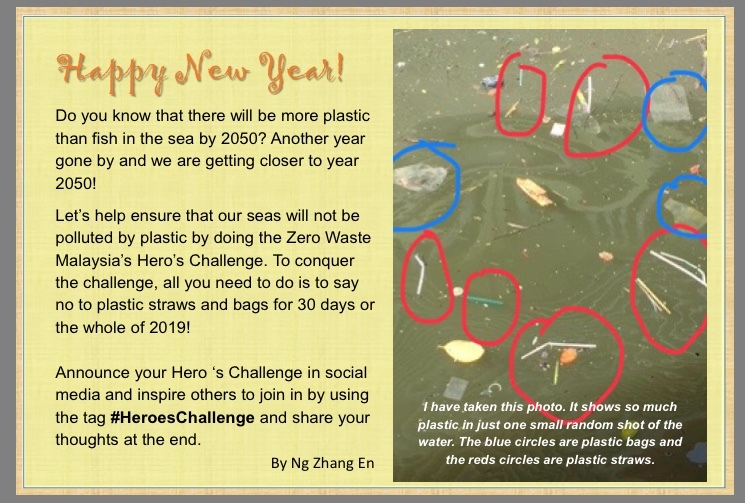 Community cleanups add to the growing body of knowledge about where and how plastics travel across the seas and where they end up in the greatest abundance. Findings from community clean-ups help to put pressure on corporations to reduce waste and make their products less wasteful and more easily and frequently recycled. Greenpeace, in partnership with a consortium of environmental groups known as Break Free From Plastic, conducted an audit of the rubbish collected from community cleanups and found that the brands of packaging most commonly retrieved belong to 3 multinationals: Coca Cola, PepsiCo and Nestle. After these results were published, all three companies have since pledged to reduce plastic waste by redesigning products to make them more recyclable, reducing unnecessary plastic packaging, and increasing the amount of recycled material used to manufacture their plastic products. Each company has set targets for those goals that range from 2020 to 2030. 7. There are economic and social benefits to community cleanups. If beaches and national parks are covered with litter, tourists will not come. Community cleanups also draw people closer together and create a sense of unity, camaraderie and belonging. 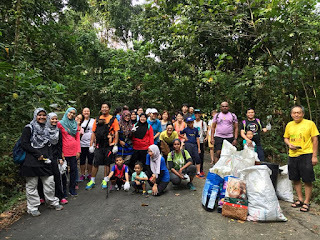 MNS Selangor Branch’s Green Living SIG organised a forest clean-up or ‘plogging party’ at the Bukit Gasing Forest Reserve on 29 December 2018 and named the event “The Last Hurrah of 2018” as it was likely to be the final community cleanup of the year for most of the participants. 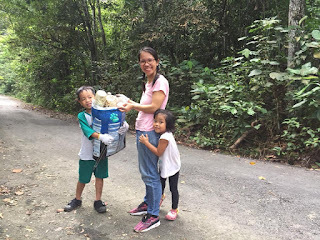 The purpose of the event was to get hikers and members of the community to clean up the popular hiking and recreational spot as a way of giving thanks to Mother Nature for all the good things that took place in 2018, and to set good intentions for a more environmentally-responsible 2019. A whopping 46 volunteers of all ages, races, faiths and persuasions showed up for the event and invested a lot of time and effort into cleaning up Bukit Gasing. It was a very heartening and encouraging show of civic consciousness and environmental awareness on the part of the volunteers. Recyclables were separated and the MBPJ truck arrived at the right time to remove all the sacks of rubbish. 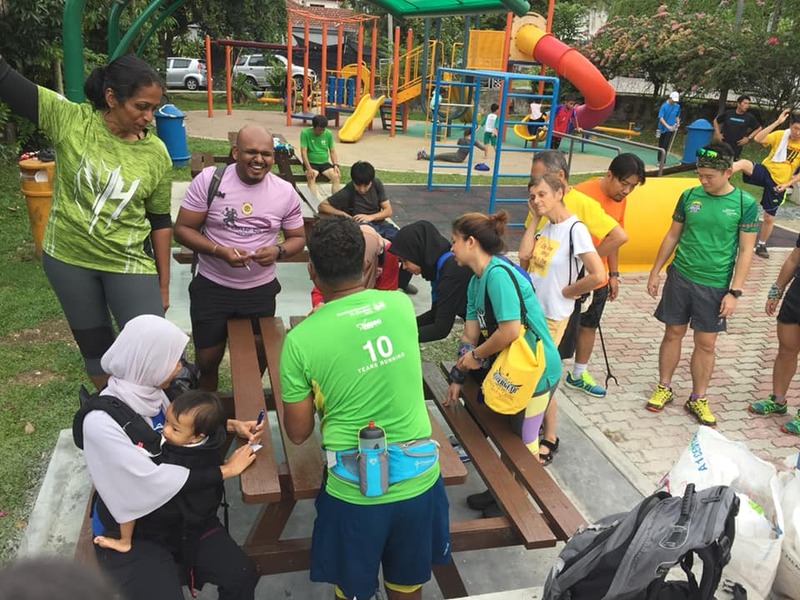 A potluck picnic was held at the playground after the cleanup session and Lucky Draw prizes were given out to 6 lucky participants. Volunteers wading through and removing litter from the streams. S Starting them young and making volunteering a family affair! 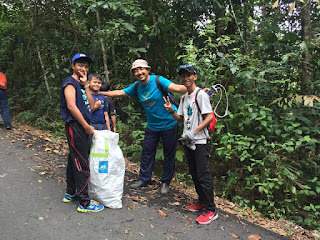 Cikgu Sazali brought his students to help out. 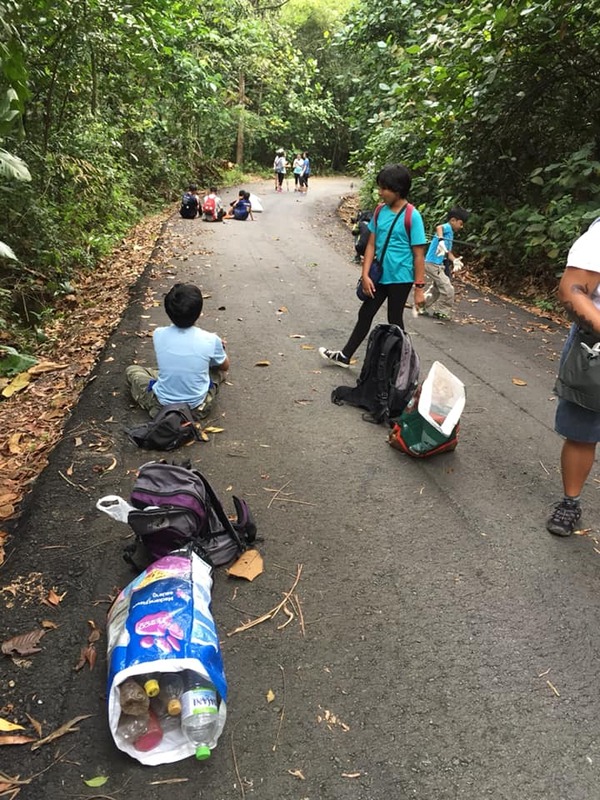 Tired young volunteers sitting on the road in front of the Bukit Gasing water treatment plant. Getting ready to haul the sacks of rubbish out. 6 Smile and say GREEN! Volunteers Hari and Malathi (in green) who led the troops in. 8 One of the Lucky Draw winners, Azizan, who did the entire plogging session with baby in tow! Special thanks go to Hari Shanmugam and Malathi Chandran for assisting Green Living with the recce and for leading the volunteers safely in and out of the trails, and to Fashilah Ahmad for sourcing and bringing the discarded gunny sacks for the rubbish. For and on behalf of Mother Nature and MNS Selangor, my heartfelt thanks go out to all the volunteers who gave up their Saturday morning to give back to Mother Nature. The Malaysian Nature Society (MNS) Selangor Branch would like to congratulate the Minister of Energy, Science, Technology, Environment and Climate Change YB Yeo Bee Yin on being recognised as one of Nature Journal’s top ten people who made a difference to the environment in 2018 (TheStar, 20 Dec 2018). 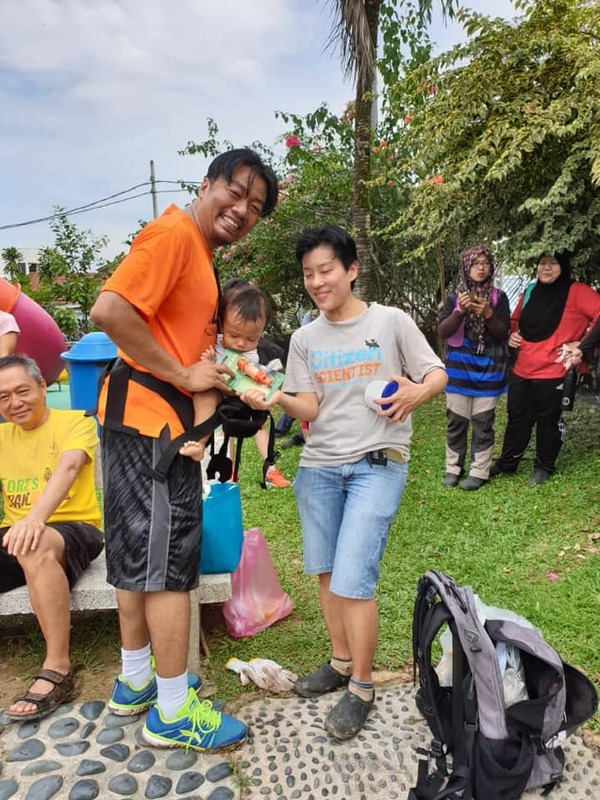 MNS Selangor along with other local environmental organisations have long lobbied the Malaysian government for better energy, water, land and waste management policies, and stronger laws against single-use plastics. While we are heartened by YB Yeo’s pledge to phase out single-use plastics in Malaysia, we are concerned that the 12-year timeline is simply too long to be effective in dealing with an issue as urgent as marine plastic pollution. Kenya took drastic action to ban plastic bags over a year ago, while Bali is set to ban plastic bags and other single-use plastics by next year. Malaysia should not be lagging behind our neighbours in taking decisive action to cut down on the manufacturing, consumption, use, distribution and disposal of single-use plastics. This is especially so after we have witnessed how inadequate our recycling and waste management systems are in dealing with the world’s plastic waste that was foisted on Banting, Klang and other Malaysian towns following China’s refusal to accept any more plastic waste from developed nations for recycling. A 5-year roadmap would be a better testimony of the government’s seriousness and sincerity in dealing with the issue of single-use plastics and plastic pollution. Much more needs to be done to conserve Malaysia’s environment, biodiversity, wildlife and natural resources, and unfortunately we have not seen very much concrete action or moral courage on the part of the relevant authorities, enforcement agencies and government ministries. The Ministry of Housing and Local Government, Ministry of Energy, Science, Technology, Environment and Climate Change (MESTECC), Ministry of Works and Ministry of Water, Land and Natural Resources have been conspicuously and alarmingly silent, for instance, on the issue of hill slope development in Penang, the encroachment into native customary lands by plantation companies, and the clearing of green lungs for development projects in Taman Bukit Kiara and Bukit Lagong, among others. The issues of the degazettement of forest reserves, deforestation and development and infrastructure projects in previously forested areas should not fall within the purview of State governments or the Ministry of Federal Territories alone. It is not enough to say that a particular piece of land is under state ownership and management, and the public or other government ministries and agencies are therefore not authorised to discuss, question or challenge any development plans in green lungs and forest reserves. It is not enough to claim that the cost of cancellation or need for housing are too high, and therefore environmental protection must be relegated to the back burner. It is not enough to argue that the issue of deforestation and degazettement of forest reserves fall within the purview of the Forestry Department and the Ministry of Water, Land and Natural Resources, as deforestation has an impact on climate change and should therefore be inconsistent with MESTECC’s climate change mitigation policies. Deforestation and development projects in forested areas, especially ecologically sensitive areas with high biodiversity and high conservation value, affect more than just the value of neighbouring properties. Increased disasters such as landslides, flash floods, and drought, and increased air, water, noise and light pollution, will have an adverse impact on climate and environmental quality, and will affect human and animal quality of life and a particular community and ecosystem’s ability to sustain itself. Wildlife populations may end up unable to breed, find food, or avoid conflict with humans. Highway and development projects may end up bisecting or fragmenting wildlife habitats and lead to an increase in wildlife roadkills. New roads and highways may create access for illegal loggers and poachers where there was none before. The degazettement of forest reserves and destruction of the natural environment are taking place on the watch of those entrusted to protect the environment. Those of us in environmental organisations are fully aware of the need to balance environmental protection with economic needs. However, in many instances, there is no actual pressing social or economic need resulting in a genuine conflict, and there should be no compromise on environmental protection. For far too long, the Malaysian authorities have been defending environmentally destructive projects that benefit only a selected few with economic and political leverage. Environmental organisations and citizens’ action groups with no ulterior motives or hidden agendas other than to speak up for the natural environment are treated as adversaries, instead of as valuable and impartial allies. Hill slope development is clearly dangerous, unsustainable and indefensible especially after so many disasters and loss of lives, yet hill slope development projects continue to be approved. The continued destruction and acquisition of native customary lands and the oppression of indigenous communities by corporations, developers and plantation owners cannot be allowed to proceed unchecked. The gazettement of forest reserves becomes meaningless if degazettement and forest-clearing can take place at any time with impunity. All of us have only a small window of time to help protect natural spaces and vanishing species. Politicians’ windows of time are even smaller. 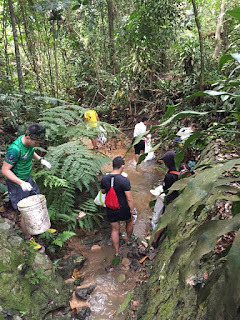 While praise and credit must be given where it is due, we must remember that environmental conservation in Malaysia is an uphill battle and many issues are not afforded the urgency and importance they deserve. We need to prioritise the environmental challenges with the highest stakes and greatest potential for lasting and irreversible damage. Environmental organisations are always ready to meet with the government to discuss solutions. Environmental organisations are not trying to win a popularity contest against governmental agencies, we are racing against time to prevent the annihilation of the natural world. It is wonderful that Malaysia has a Minister acknowledged by a prestigious science journal to be a champion for the environment. 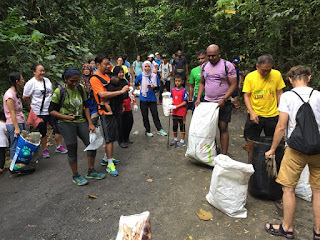 It would be more wonderful still if we could have all the relevant government ministries work together with each other and with environmental organisations and citizens’ action groups to expeditiously and courageously take action to protect Malaysia’s natural environment and deliver environmental justice.